The more money you spend on a cat toy, the less they are likely to play with it – or at least that’s how it seems most of time! Maybe that’s why our cats love this so much, because it cost nothing to make! 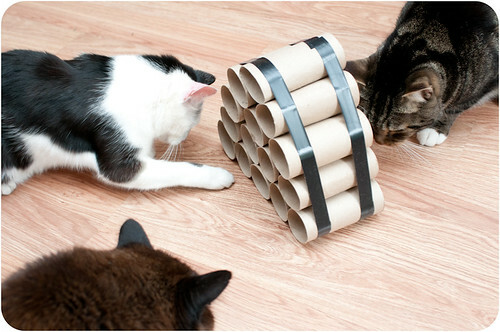 Daz has been hoarding the tubes from the centre of toilet rolls for weeks so he could create this for the cats. 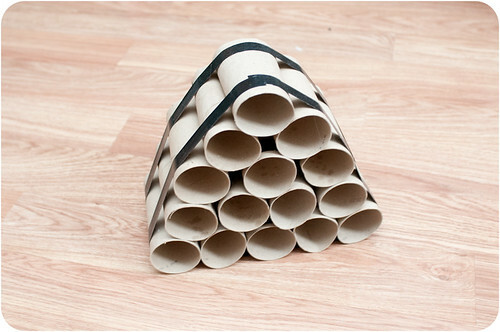 He taped together in a pyramid shape with some electrical tape (as that’s all we had to hand but any tape will do). 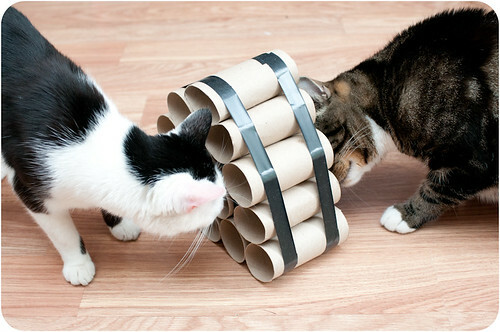 We put a few biscuits in each of the tubes and left the cats to it, they had such fun. 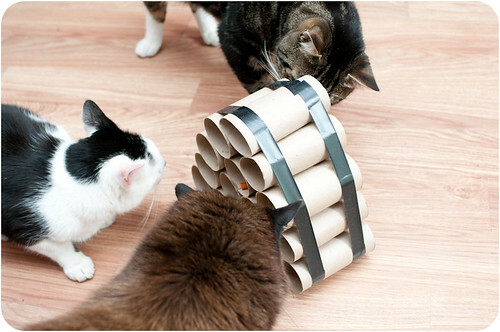 It’s a great way to keep them entertained and it stops them from munching all their food too quickly. 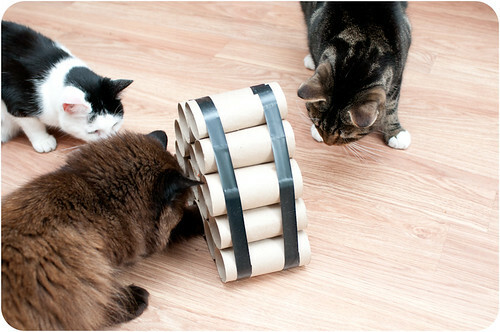 So ingenious, I love his cats they are all so beautiful! I was just thinking this would be great to do until my bf pointed out that our cat chews cardboard. Think it would last about a minute with her! But awesome idea. Yay – I do this for my indoor cat and she has lots of fun finding her biscuits. And you are so right about spending money! Flora likes empty boxes and bits of ribbon far more than her shop bought toys. my cats favourite toy until its recent demise was a rolled up crisp packet tied into a knot on a long piece of brightly coloured wool . . .
brilliant! off to make one right now!